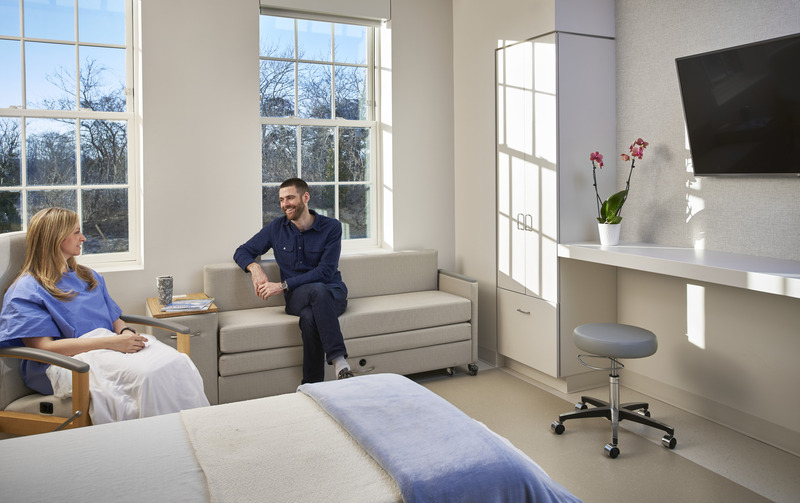 Nantucket Cottage Hospital (NCH) has been serving its island community for over 100 years. 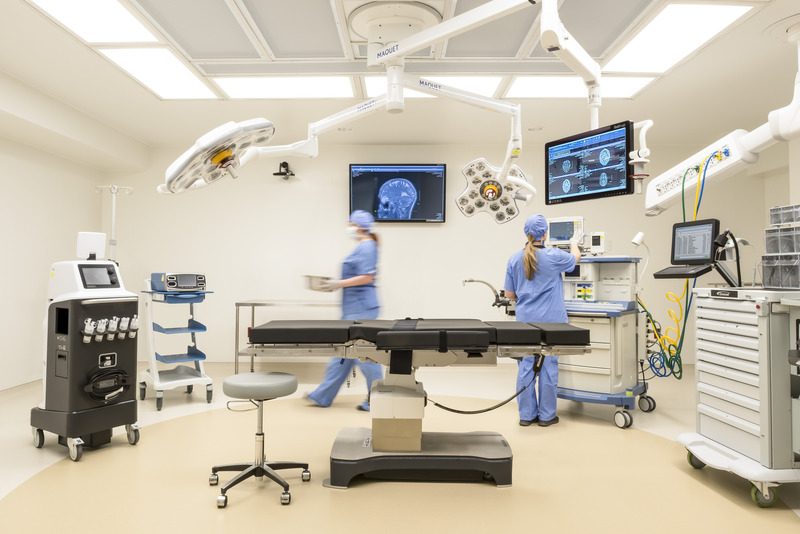 Located 30 miles at sea in a facility nearly 60 years old, adverse weather and seasonal population swings challenged NCH’s ability to remain functional in substandard space. 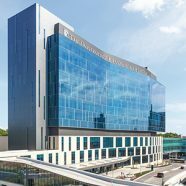 As the only healthcare option for 11,000 permanent residents — in addition to 60,000 seasonal residents — the safety net hospital needed to offer more on-island services in a facility that could accommodate a fluctuating island population and withstand severe weather events. 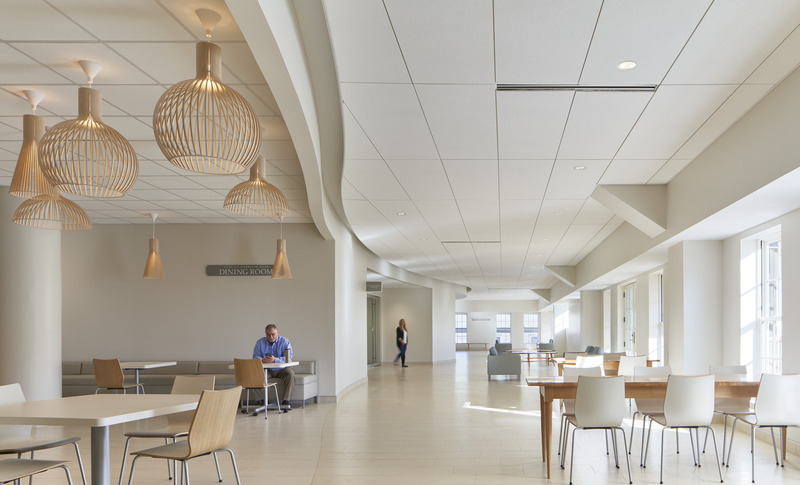 Designed to be the last building standing in the event of a catastrophic weather event, the new NCH prioritizes resiliency and safety. 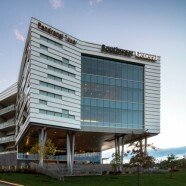 Engineered to withstand hurricane force winds, the hospital has dual electrical and water supplies to provide backup redundancy, mechanical elements on the roof in case of severe flooding, and operable windows for ventilation in the event that HVAC systems lose power. 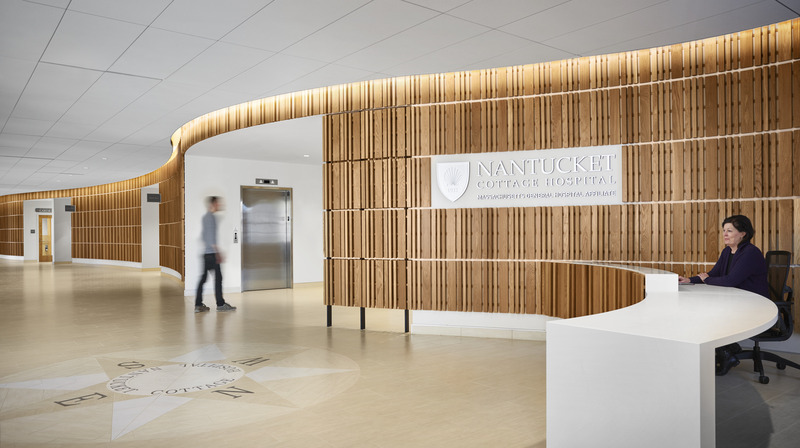 The new hospital embraces the culture and natural beauty of the island with an overall aesthetic that honors Nantucket’s architectural vernacular and strong history of craftsmanship; the roof is pitched in proportion to the surroundings and the entire facility is covered in unpainted shingles, making the hospital look more like an expansive house than a hospital. 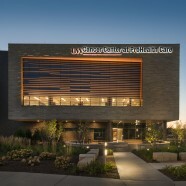 The design also incorporates evidence-based design strategies that emphasize ease of wayfinding and connections to nature – windows will overlook gardens and hedges, promoting familiarity and reducing stress within a calming environment. 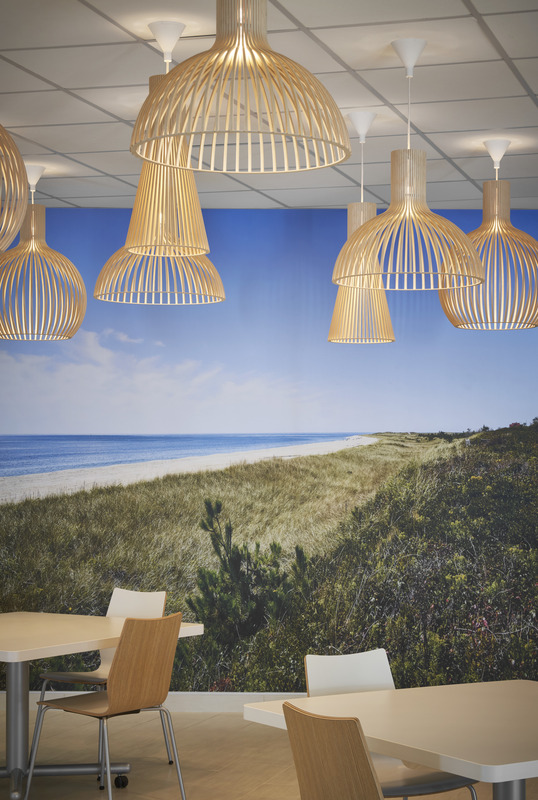 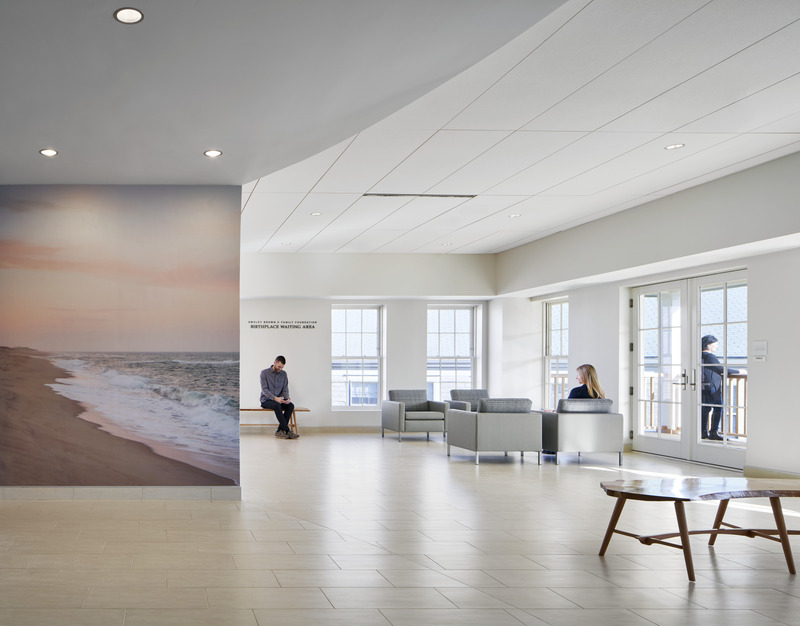 Sensitive to the island’s context while evoking the sophistication of the healthcare delivered, the new NCH is set to be the heart of Nantucket’s tight-knit community year-round and for many years to come.